Check our robot out in this comerical for Honda! Check us out on this episode of The Fosters!! 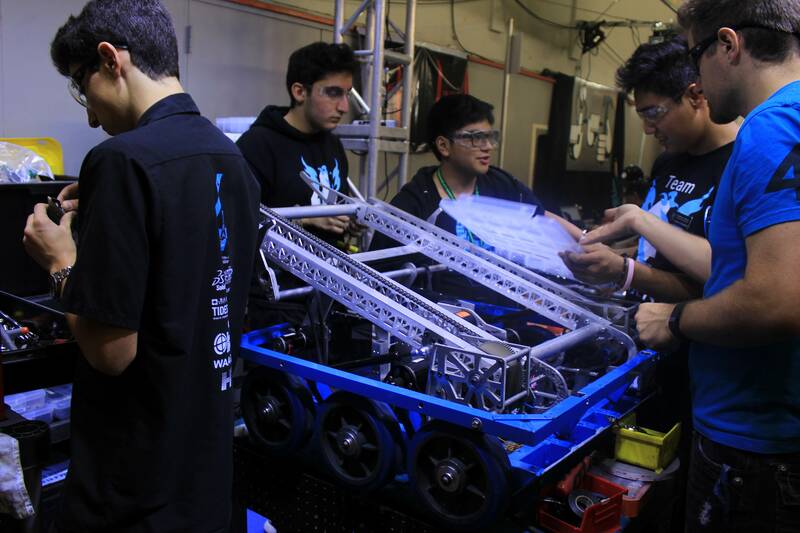 Team 4 ELEMENT is a FRC (FIRST Robotics Competition) team located in Van Nuys, California, in High Tech Los Angeles. Team 4 is the largest club in HTLA, with over 15% of the students. ELEMENT stands for Engineering, Leadership, Entrepreneurship, Mentoring, Education, Networking and Teamwork. Team 4 ELEMENT was a part of Team 22, at Chatsworth High School until 2006, Team 4’s rookie year, when we became our own team, with a retired number. HTLA was the nation’s first charter school on the campus of another public school, Birmingham High, opening for the 2002-2003 school year in temporary quarters. The current state-of-the-art facility opened to students for the 2004-2005 school year. On July 1, 2008, HTLA became an independent California charter school. This year, HTLA is home to 370 students in grades 9-12 including 84 graduating, college-bound seniors. Innovative features include performance-based assessment, shared planning and meeting time for staff, state-of-the-art technical facilities for project-based learning, internships and connections to the community. In 2013, we were named the #1 charter high school in California by the USC School Performance Dashboard. FIRST is an international organization founded in 1989 by Dean Kamen. It began in a New Hampshire High School’s gym, with only 26 teams, and has grown over the years and currently has 3 programs with a total of over 32,000 teams, and more than 350,000 students enrolled in FIRST programs. There are teams in several countries besides the United States, including Chile, Mexico, Israel, and China. The three competitions that are a part of FIRST are FLL (FIRST Lego League), FTC (FIRST Tech Challenge) and FRC (FIRST Robotics Competition). Team 4 competes in FRC, in which teams are given a game on the first Saturday of January, and then have 6 weeks to prototype, design, build, wire, and program a robot to fulfil certain tasks in the game.